Waargh! dakka dakka! It’s Grimsnik’s ‘ouse’old boyz! Now lissen up you stoopid grotz, if you wanna field an Ork army, dere is three units wot youse got to take. WUN! you need a warboss, an you need a big tuff one. TOO! you need a ret-in-yoo for yer boss, so ‘e ‘as his tuff mates an’ ‘is oddboyz and stuff to ‘ang around and do sum fightin’ wiv ‘im. an’ FUR-EE you need a Bigmob so you ‘as some boyz to do all the shootin’ and sum more fightin’ if da nobz ‘ave got any spare stuntiez wot need killin’. Da Bigmob has da boyz from da warboss’s ‘ouse’old. 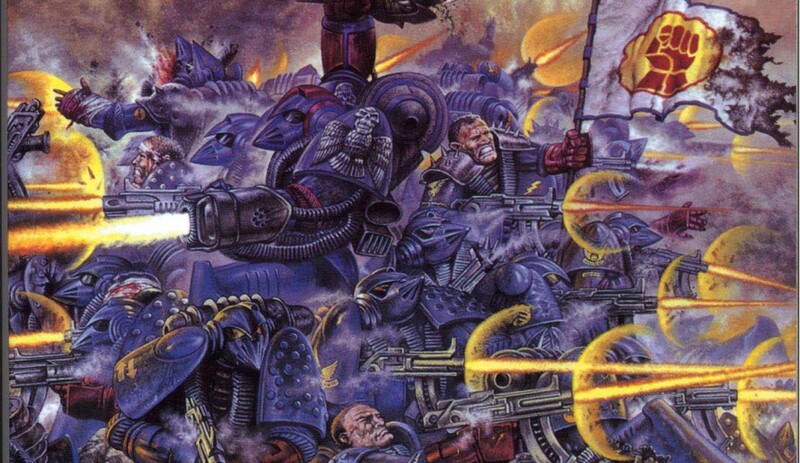 When ‘e goes to war he ‘as to take the most boyz or da uvver nobz will wanna know why their boyz is doin all da fightin’ and ‘is boyz are sittin at ‘ome playin’ with demselves. In real life ov course da warboss would take ‘undreds or thousands of boyz, but cos dis is pretend war for weedy oomans dere is just twenny boyz. An’ bloody ‘ell paintin’ dat lot was quite a mishun I can tell yer. Anyhoo, dis lot is Grimsnik’s Bad Moon Bigmob. Most of ’em are proper Oldhammer Orkses but dere is a couple of noo ones in dere too makin up da numbers. Dey look ‘ard but is probly well weedy. We’ll make ’em go in front ha ha. OI stuntiez check out dese lads ha ha. Notice that I ‘ave given ’em too ‘eavy plasma guns for making big ‘ot ‘oles in tanks. Get a brew on!